and for tips on How to Get the Most out of our Job Expo. 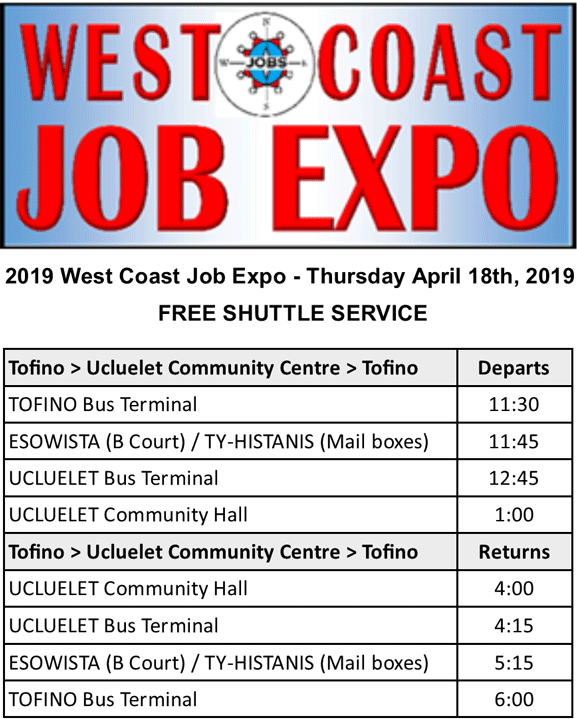 Click HERE to view the Bus Schedule for a FREE ride to the Job Expo. The time to start preparing for a Hiring Fair is weeks, not days or hours before attending. Read "How to get the most out of our Hiring Fair", and if you need more assistance, contact us at the numbers listed on the poster above, and we'll help you get ready. ideally, to hire someone to fill a current vacancy! Remember that this is a networking opportunity. 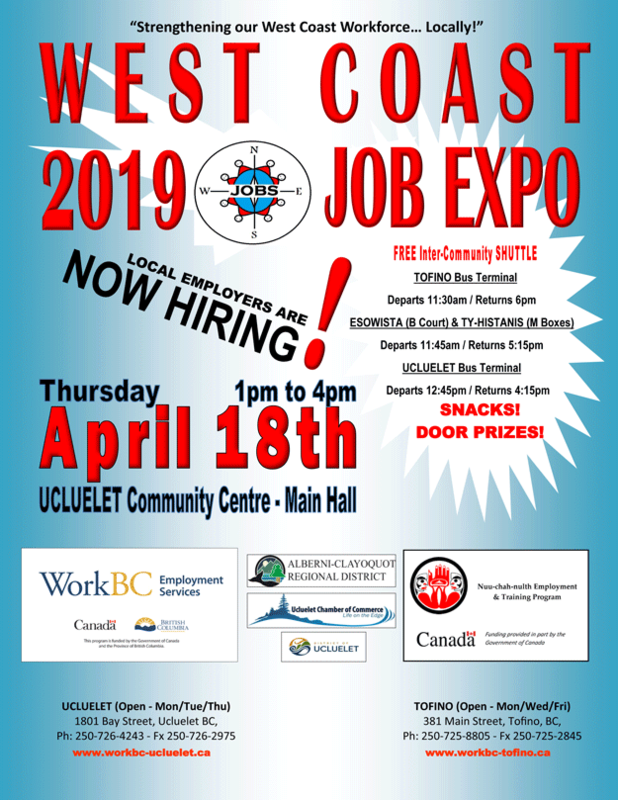 While many employers will be hiring on the spot (they have at our past events), not all employers at the Hiring Fair will be hiring for immediate vacancies. Your mission for the day is to collect information, make contacts, and learn as much as you can about what employers are looking for in the people they hire. Talk to the employers and show them you know something about their company; tell them why you are interested in working for them, and collect as many business cards, names, and email addresses as possible. When the employer does have a position to offer, you can stand out by reminding them that you met at the HiringFair. Dress like you would for an interview. What you wear to the Hiring Fair is the most important part of making a good first impression; remember, employers are there so they can meet applicants face-to-face. Even if you are targeting industrial or labour positions, dress in clothes that are slightly above the standard you would expect to see in the workplace. Be enthusiastic. Employers will usually prefer to hire someone who is enthusiastic over someone who has all the skills, but doesn't seem very interested. Demonstrate your communication skills by offering a firm handshake and showing good eye contact, a smile, and a positive attitude. Focus on your talents, your strengths, and what you have to offer based on the employer's needs. Plan your priorities for the day and research the companies you hope to speak to. The Hiring Fair will be very busy, and there may be line-ups at some tables, so do your homework before you arrive. From the list on this page, identify which companies you are targeting and do some research into what they do and what their needs are. Most importantly, show that you know what their goals are, and how you can help them accomplish those goals. You can give yourself the edge over other applicants by impressing them with your knowledge and preparation. Bring resumes targeting the employers on your list. Once you've decided which employers you would like to visit, make sure you have resumes targeting the jobs they might have to offer. It will not be very useful to hand a resume showing your skills as a cook to a company looking to hire cleaners, for example. Prepare ahead of time and make sure the skills summary on your resume has the skills the employer is looking for. Follow up after the fair. If there is an employer at the event with whom you felt you developed a rapport or made a good impression, contact them within about 2 weeks of the Hiring Fair. Send an email or card letting them know how much you enjoyed meeting them, and restate your interest in working for them. Similarly, if you see a job posting for one of the employers you talked to, mention the contact in your cover letter or email when you submit your resume to apply.